My friend Michael who has been mentioned on the blog several times as I am forever dragging him on random foodie adventures has never had afternoon tea. Well he hadn’t until this time last week when I finally took him for his very first outing. 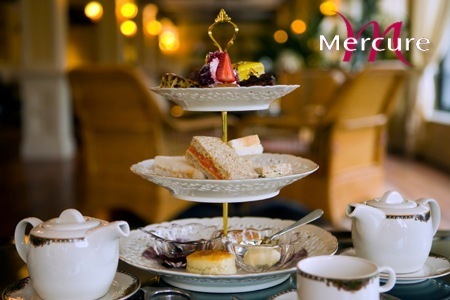 Scouring the usual deal sites as I do I bought a wowcher for afternoon tea for both of us at the Mercure in Bloomsbury for a ridiculously cheap price. The picture showed a traditional tiered afternoon tea which I thought would be a perfect introduction for afternoon tea. What we actually got was something a little more spectacular… After being seated on the outside terrace which was not directly on the main street but off to a side alley we were told that they were currently serving a special Wimbledon afternoon tea. I was a pretty excited but not at all prepared for what came next. 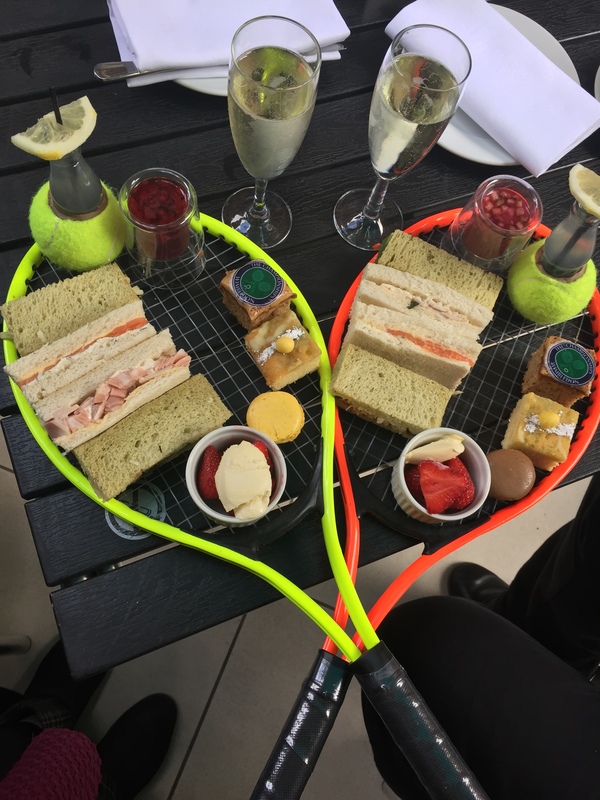 Our afternoon tea was served to us on tennis rackets! While the tea wasn’t exactly traditional it was pretty good. 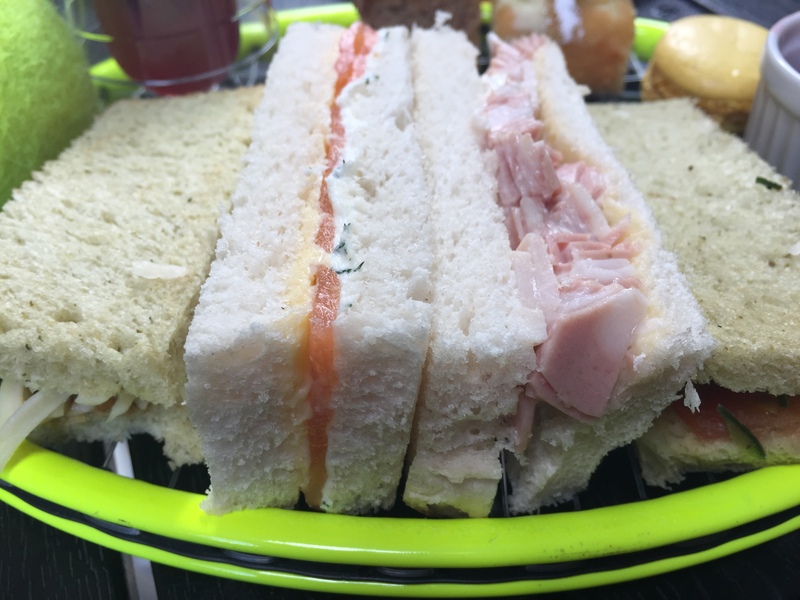 The sandwiches were my least favourite part because one was cheese and pickle and another had tomato in it but the others were pretty darn scrumptious! 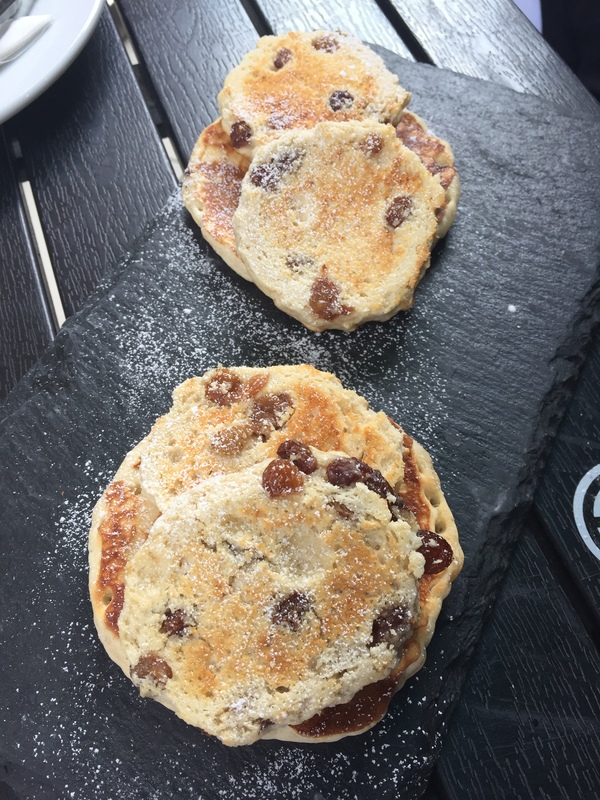 It was a bit odd having our cakes before our scones too (these, and pancakes, were taken out to us warm after we had cleared our plates rackets. The cakes were pretty tasty and I liked the small bottle of homemade lemonade that came wedged into a tennis ball as it was very refreshing and different as were the traditional Wimbledon snack of strawberries and cream. 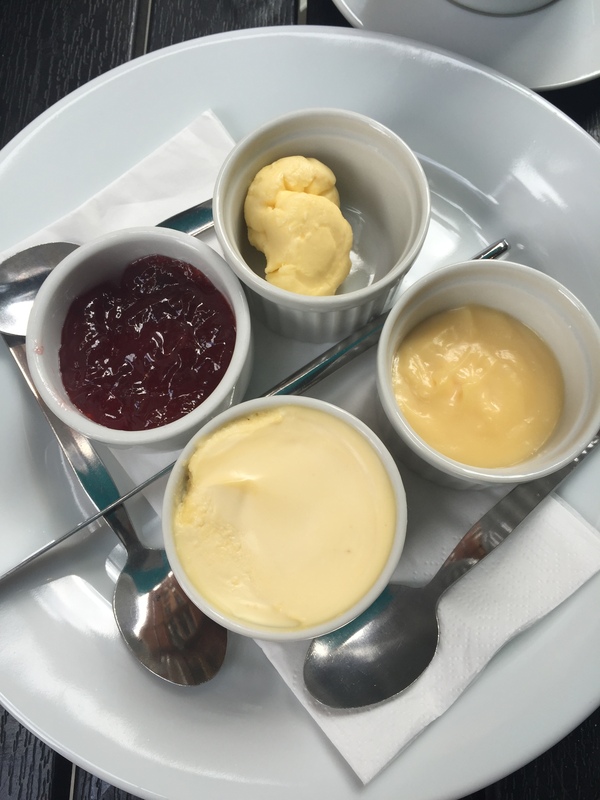 I was a bit disappointed that both the scones and pancakes had sultanas in them but I just ate around them and it was refreshing to be offered butter and lemon curd with them as well as the usual jam and clotted cream. 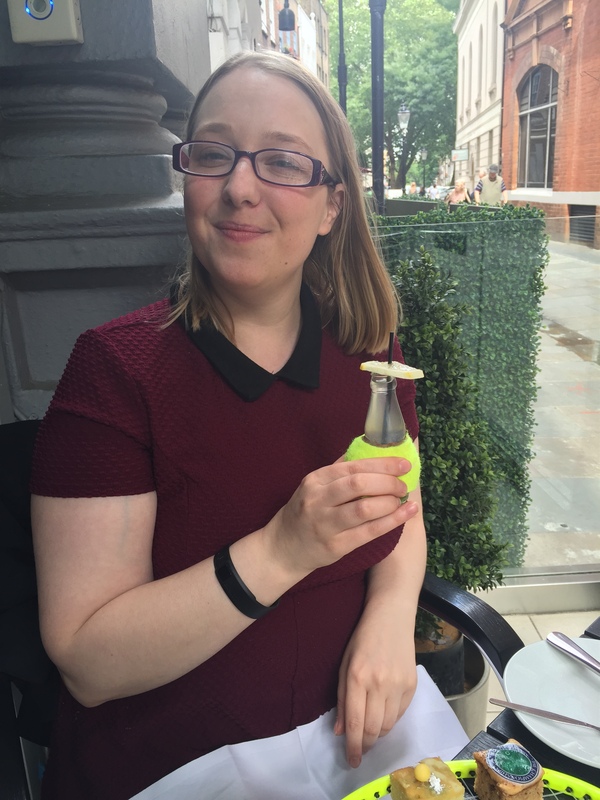 In fact this whole afternoon tea was just that little bit special and I’m very confused as to why the hotel has not, as far as I’ve been able to find, even advertised that it was running this themed tea in place of its regular menu. It makes me wonder if they do other themed teas that I don’t know about! Looks awesome and delicious ! No sultanas in pancakes me for me either.